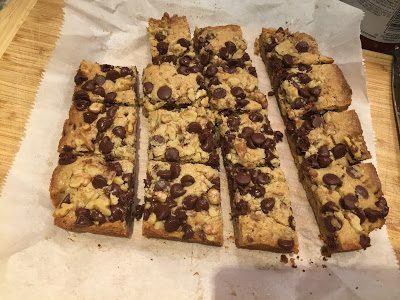 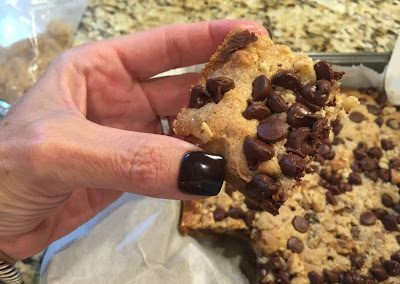 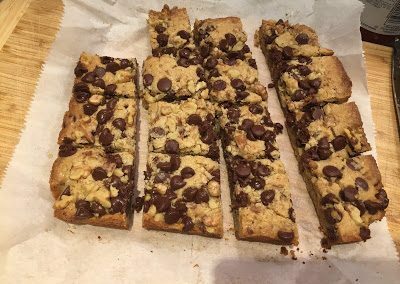 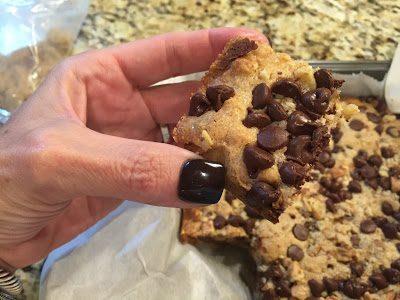 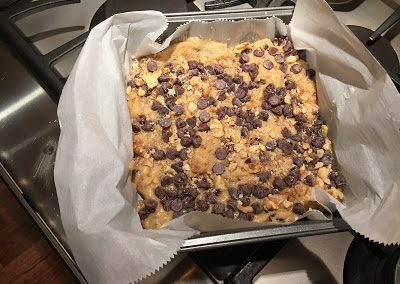 These scrumptious little bars are almost cake-like in texture, not quite as rich/buttery as other blondes I make. 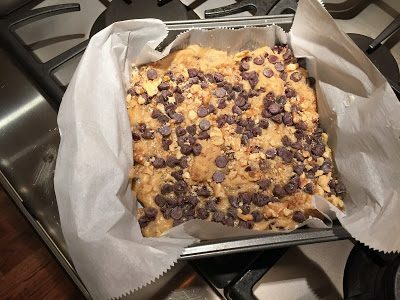 But they are oh so good! 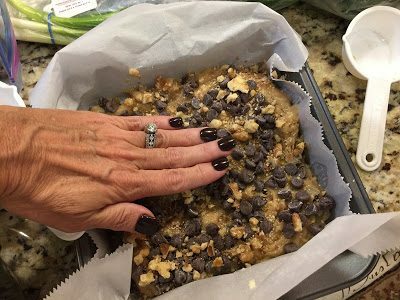 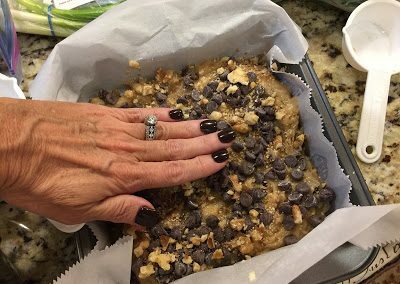 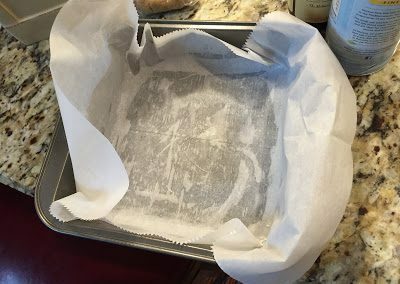 Preheat oven to 350 degrees F. Brush an 8-inch square baking pan with butter; line pan with a piece of parchment paper (or tin foil), leaving a 2-inch overhang on two sides. Butter paper. 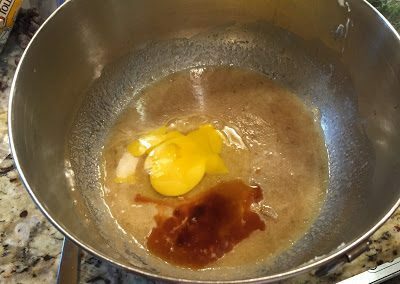 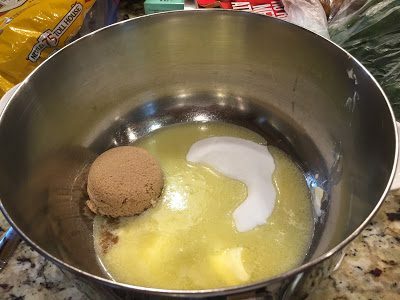 In a large bowl, mix butter and sugars until smooth. 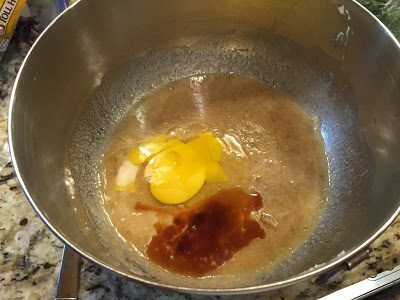 Whisk in egg and vanilla. 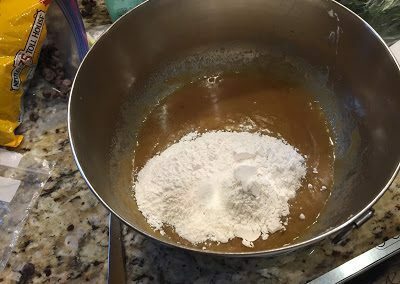 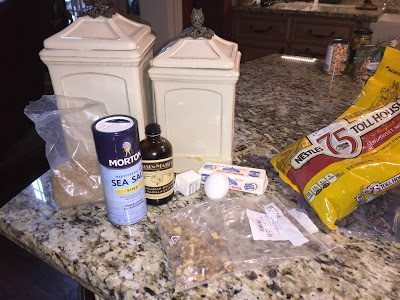 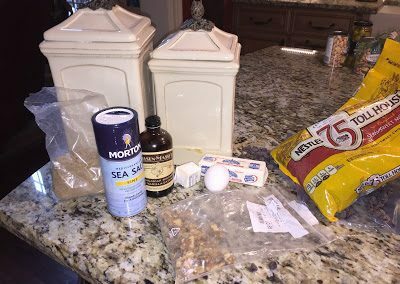 Add flour and salt; mix just until moistened (do not overmix). Fold in 1/2 cup each chocolate chips and walnuts. Transfer batter to prepared pan; smooth top. 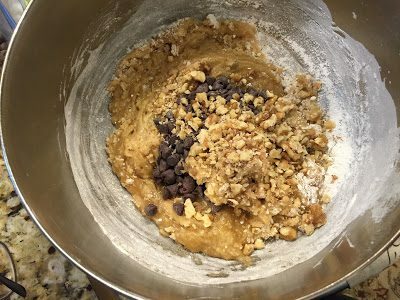 Sprinkle with remaining chocolate chips and walnuts. 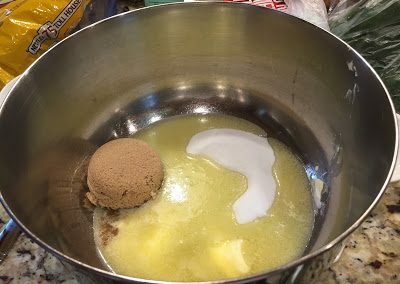 Bake until top is golden brown and a toothpick inserted into the center comes out clean, 30-40 minutes. 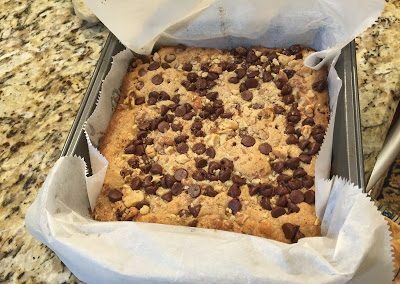 Store blondies in an airtight container at room temperature, up to 2 days (or freeze).